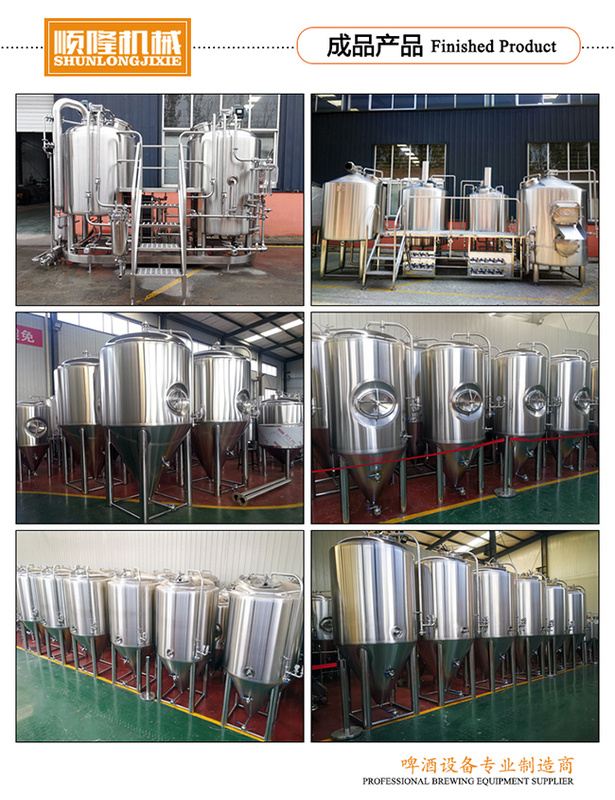 Factory Tour - Jinan Shun Long Machinery Co., Ltd.
Jinan Shun Lung Machinery Co., Ltd. is the largest domestic category of beer equipment manufacturers, fermentation equipment manufacturers. It adopts OEM/ODM. 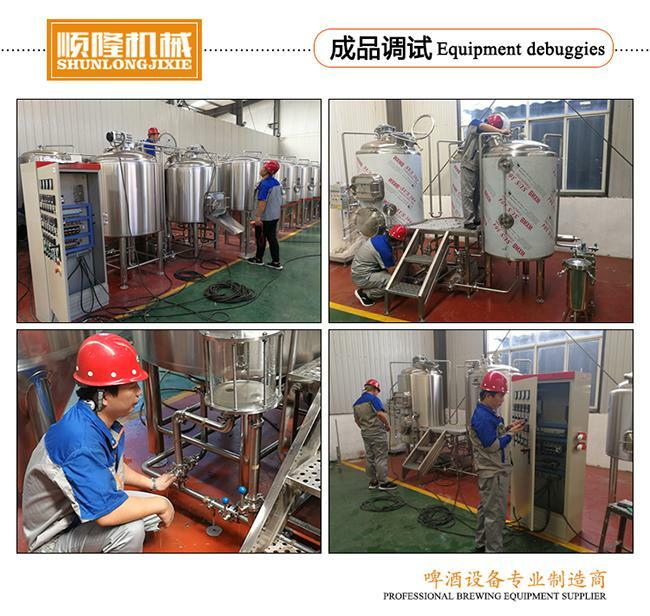 Professional design, production, manufacture, installation, commissioning a variety of beer fermentation system, wine fermentation system, scientific research and experimental systems and enzyme extraction system, the company achieved Class I pressure vessel qualification. We have established a long-term and stable business relationship with domestic craft lovers, etc., forming a complete chain of service network. At the same time, a large number of export products earn foreign exchange and have been exported to the United States, Canada, Australia, Sweden Countries and regions. 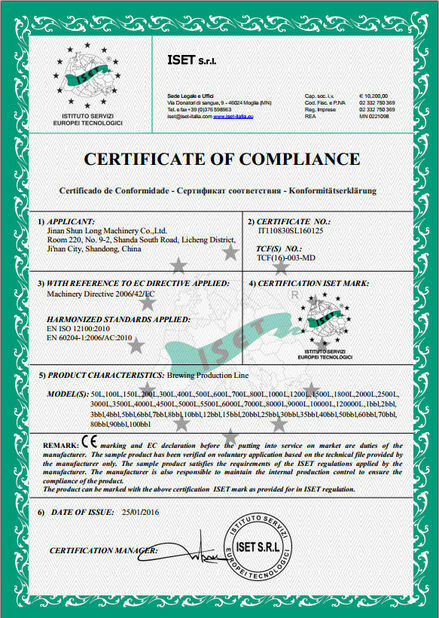 It has two processing plants, four large-scale special laboratories (pressure vessel flaw detection laboratory, chemical laboratory, welding laboratory, high-pressure laboratory), research and development, testing, design, production, sales and service. Turnkey project "to maximize the realization of the customer" one-stop "procurement services. 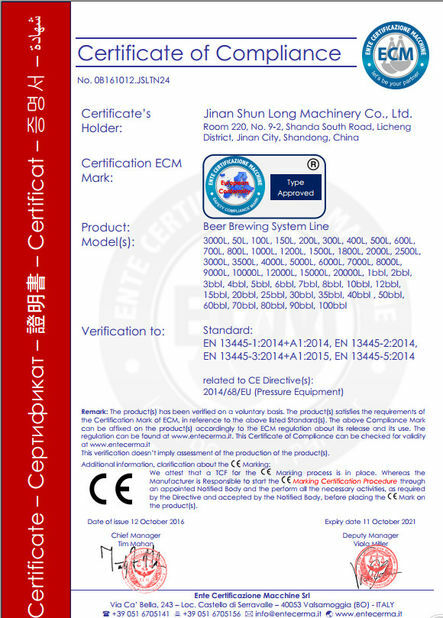 Shun Lung company always put "scientific and technological innovation" in the first place, long-term and domestic and foreign research institutions, institutions of higher learning for cooperation and academic exchanges, with the most advanced beer, beverage equipment design, manufacturing technology and ability. The industry took the lead in using the United States SolidWorks three-dimensional development and design software, and CRM enterprise information management, organization of professional and technical team for the enterprise design, development of a series of best-selling quality products, but also trained a number of outstanding scientific research and production The high-tech talents have played a positive role in promoting the cooperation and development of Shen Dong technology and in the cultural transmission.